The focus of the book is on practical problems and how to solve them in Python. The examples given are useful programs that try to solve real-world needs. Each chapter revolves around a single concept giving several examples gradually growing in difficulty. Each section analyses the problem first before diving into coding and gives extensive background information to enable the reader to generalize from the specific problem to a wider range of challenges. The sample code is provided as fully working examples with all key issues extensively highlighted. All sample programs are clear and concise yet nothing essential is left out and the programming style focuses on readability rather than on stylistic rigor or efficiency. 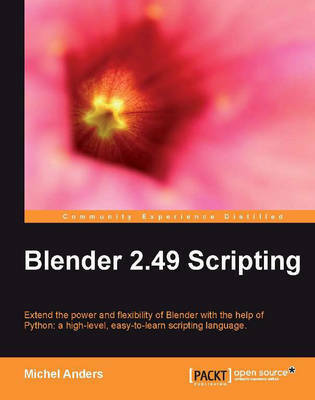 This book is for users comfortable with Blender as a modeling and rendering tool who want to expand their skills to include Blender scripting to automate laborious tasks and achieve results otherwise impossible. Blender experience is essential as is some experience in Python programming.